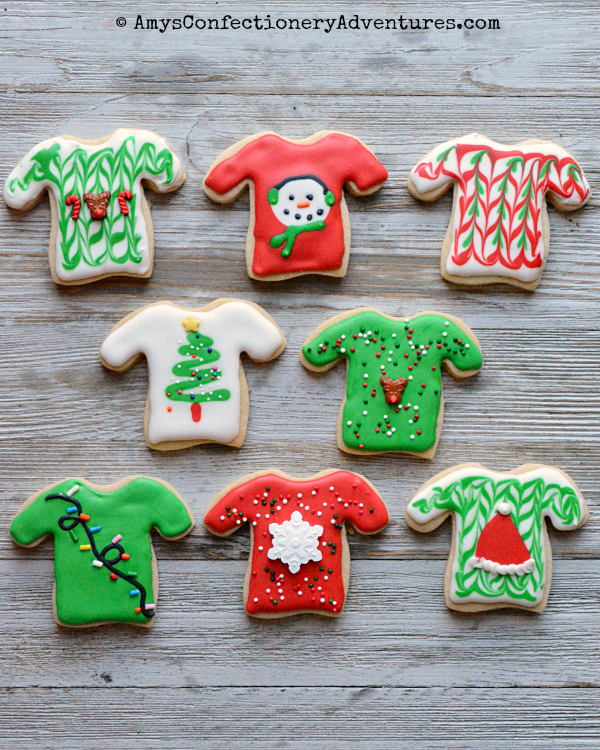 First up, Ugly Sweater Cookies! 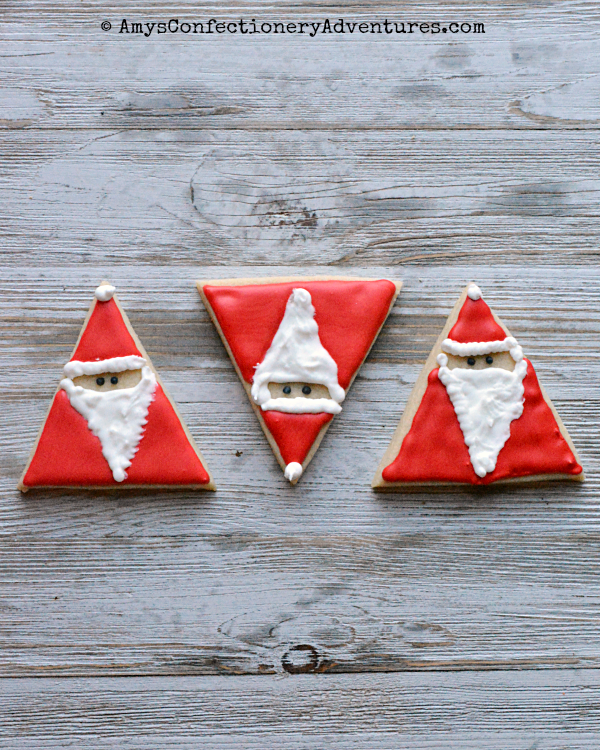 Then some fun little Santas. 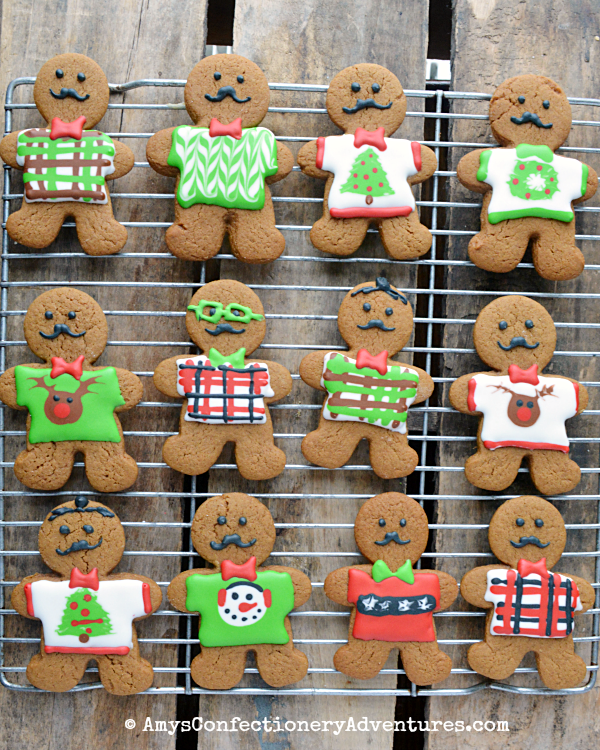 Hipster Ugly Sweater Gingerbread Men are a new Christmas classic! 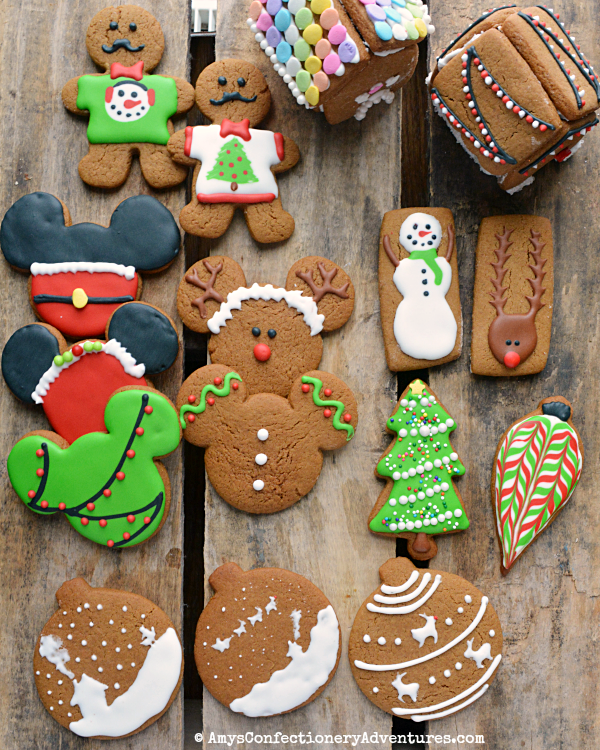 I was working on my gingerbread men this year, when I realized that I never shared last year’s creations! What a shame, because may I present the Hipster Ugly Sweater Men! 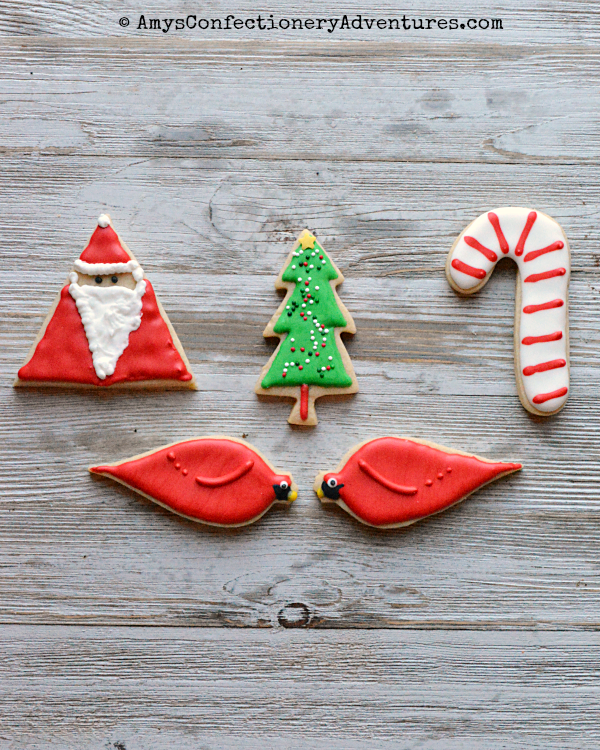 These little guys have it all, nerdy glasses, mustaches, man buns, and of course the ugly sweaters! These guys were so fun to make! I love making them nerdier each year! 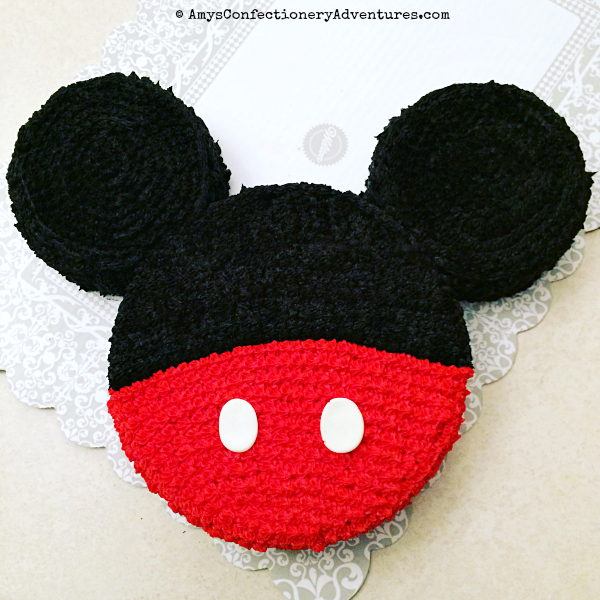 In addition to those, I also made some Mickey themed cookies that were also a huge hit! 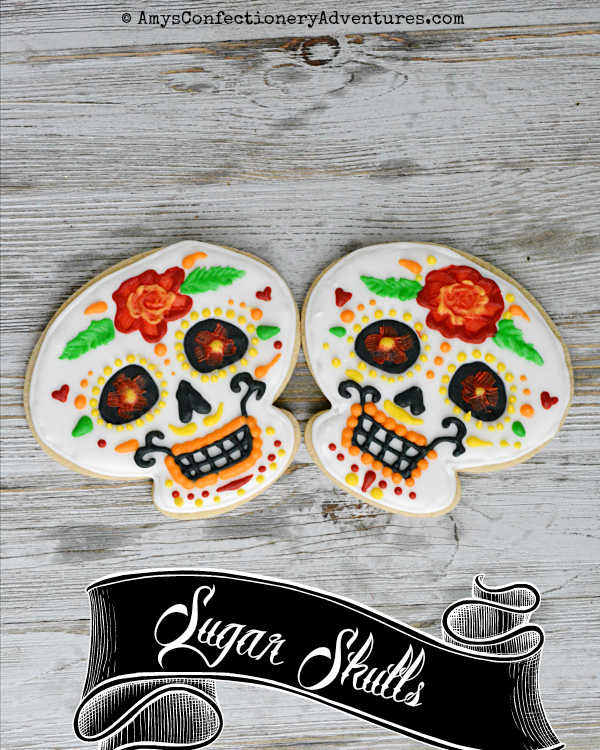 I got a jump on my Thanksgiving cookies this year! I only wanted a few Halloween cookies, so I decided to cut out my Thanksgiving cookies at the same time. 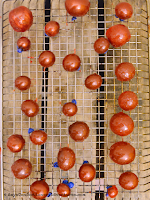 Then I had my royal icing made, so I thought, what the heck, let’s decorate them too! 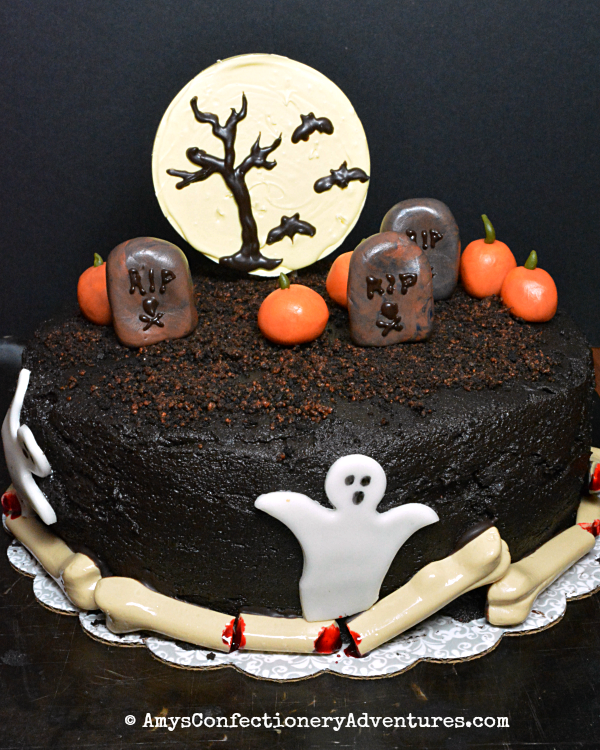 I made this spooky graveyard cake for a Halloween themed birthday party yesterday! I took my vanilla cake, and made it into a raspberry poke cake! 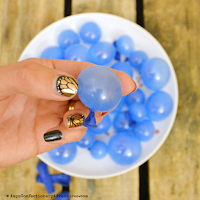 It was actually super nerve wracking! 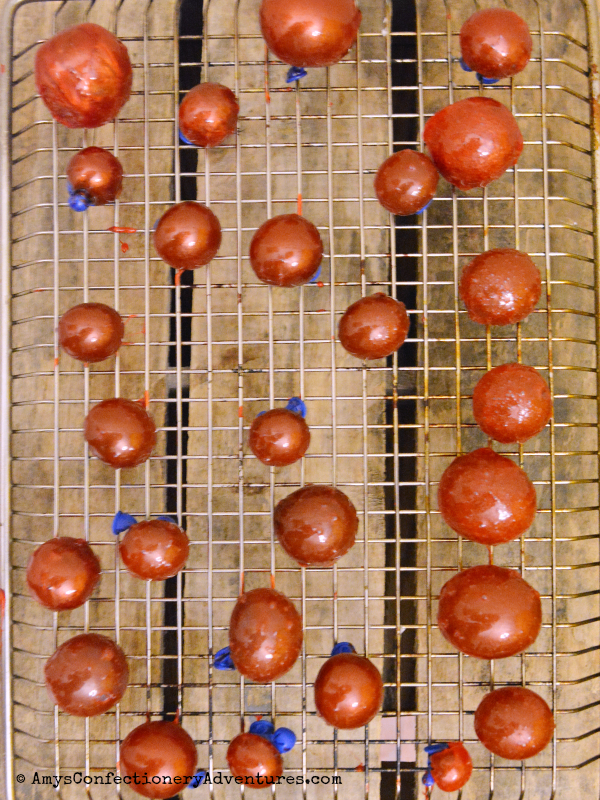 I removed the cakes from the pans, cooled them and placed them on a silpat lined baking sheet. 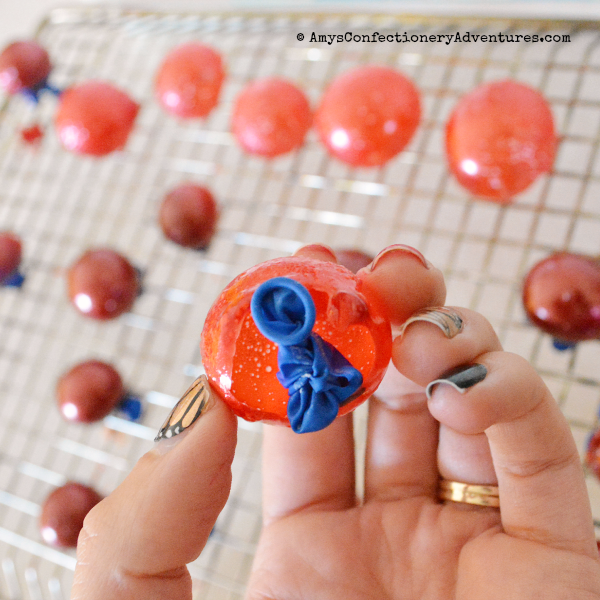 Then I poked them with a fork, poured the jell-o over and refrigerated. 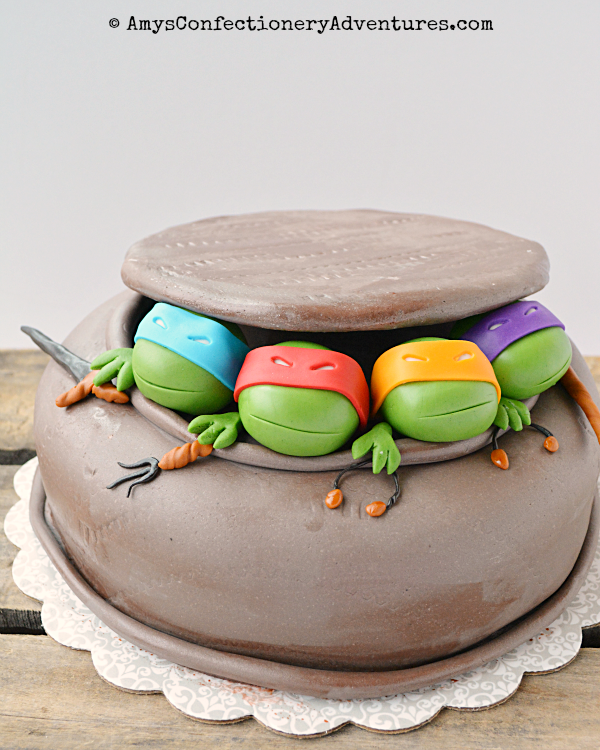 And you guys – those were some very very wet cakes! Last month, one of my friends asked me to make a Dallas Cowboys Jersey Cake. 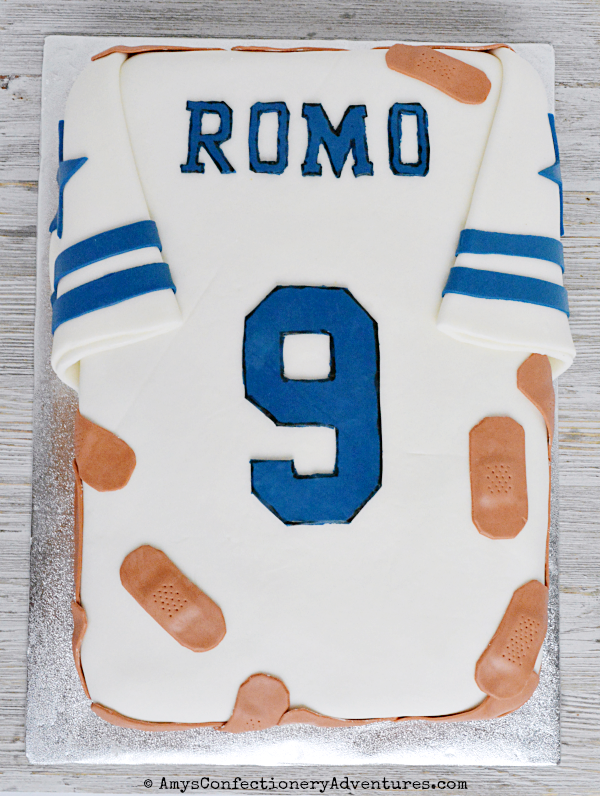 Featuring Romo’s jersey – with lots of Band-Aids since he keeps getting injured. 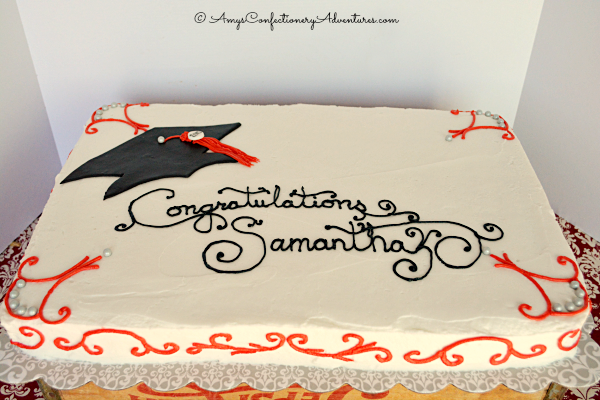 I’m not sure how the recipient of the cake felt about it, but we sure thought it was funny! Over the summer, my parents celebrated their 35th wedding anniversary! And they were in town to see the kids play their summer sports, so I wanted to make them something a little special to celebrate! 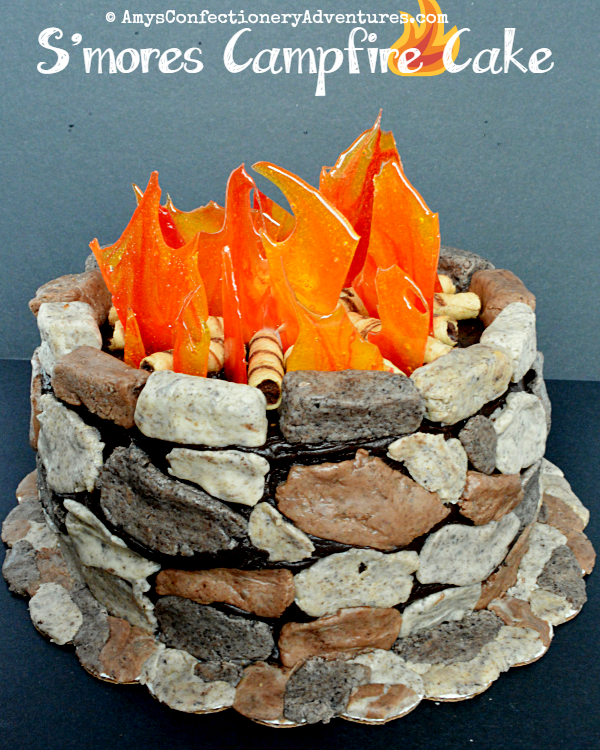 I saw this idea for a campfire cake a while ago and I knew I had to make it happen! 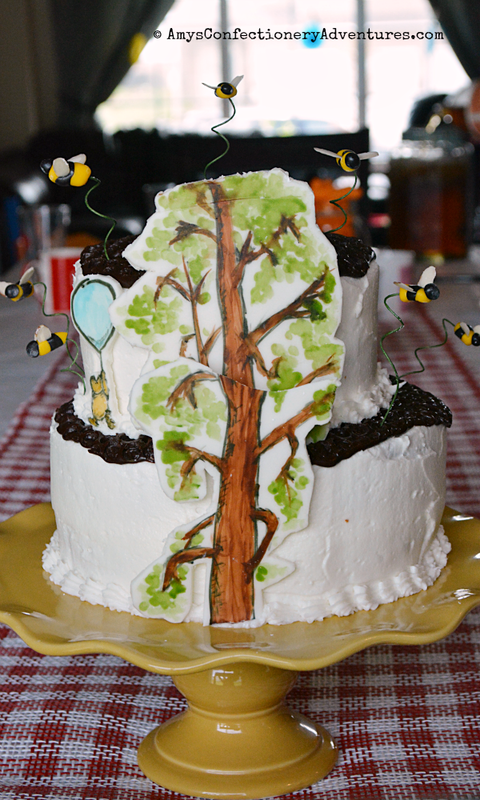 My boys had a Cub Scout potluck and I knew it was the perfect opportunity to make the cake! I come from a long line of Green Bay Packers fans, so I was totally excited when I was asked to make a Packers themed birthday cake! 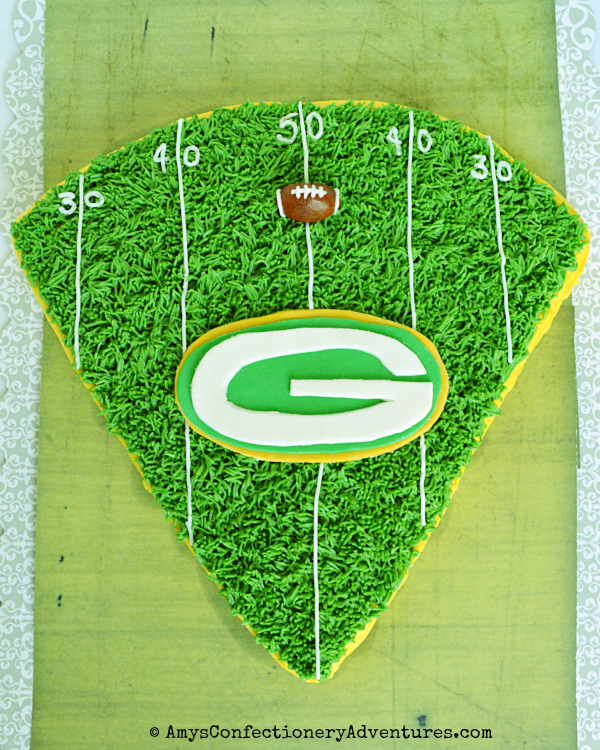 I thought about making a simple cake with the Green Bay logo, but it didn’t seem like enough, so I decided to make a football field. 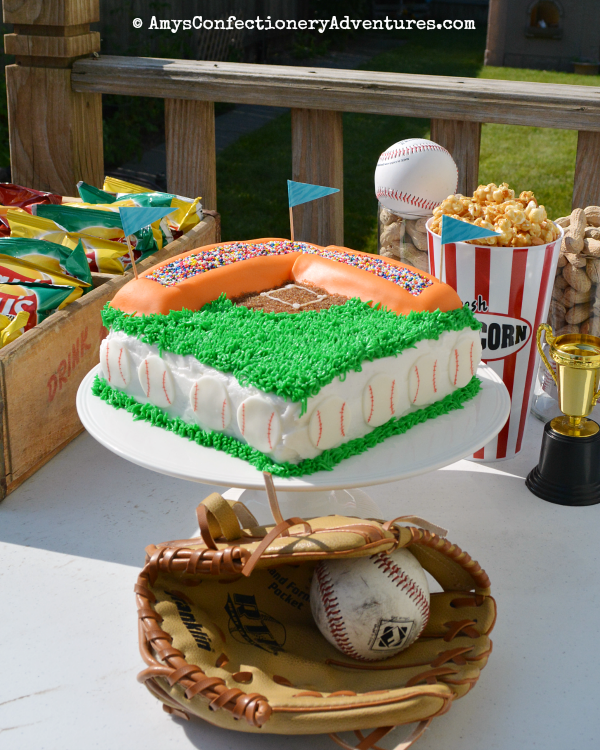 But this is the Packers, why not go the extra mile and make a wedge shaped cheesehead cake with a field and logo on top? Now we’re talkin’! I made this pull apart cupcake cake for a baby shower. 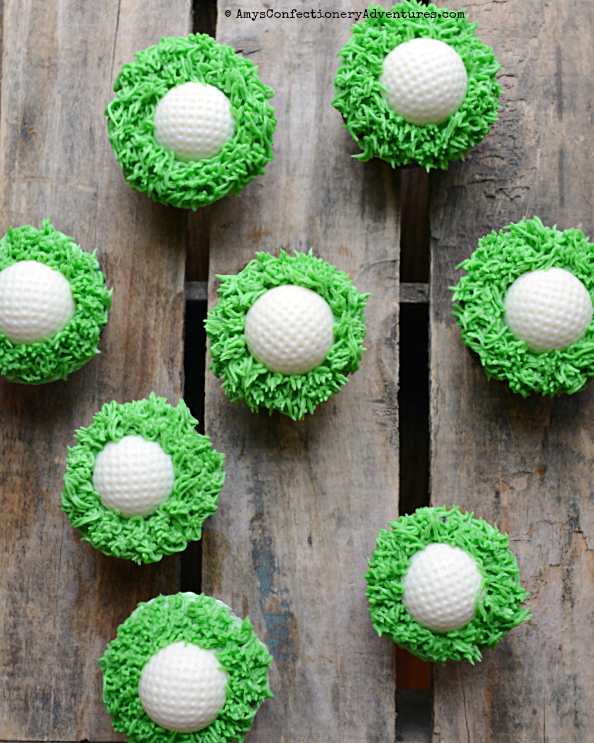 Cupcake cakes are an interesting conundrum. 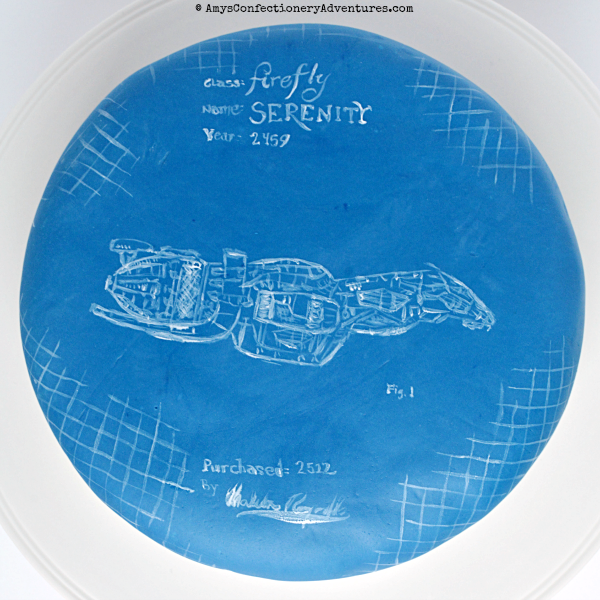 The sound great in theory: perfectly portioned cake in the shape you like! But after that it goes awry. All the cupcakes are pushed together into the desired shape, but there are big gaps between the cupcakes (case in point: Arrow of Light Cupcakes). My mom happened to be in town on her birthday this year, so I had a chance to make her a birthday cake! 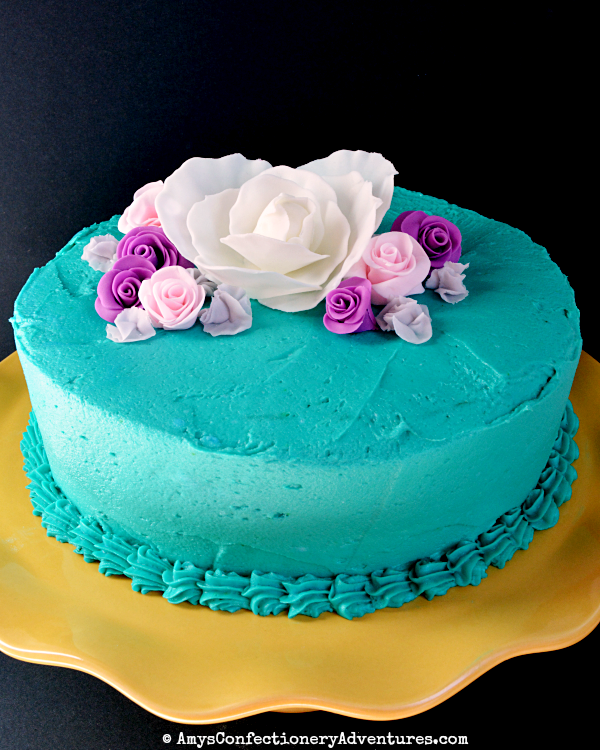 And I got to use my new favorite a cake tool – a rose cutter! It’s totally fool proof and officially that first time I’ve been able to successfully make fondant flowers (I’m not getting anything for talking about this product – it’s just awesome & I want to share it with everyone!)!! 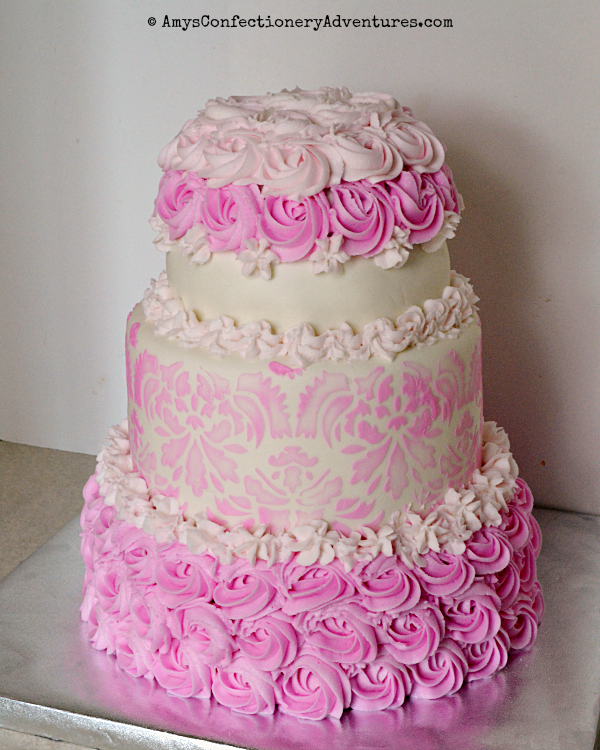 The rose cutter (the little roses on the cake) boosted my confidence so much, I even made that big flower by hand! Sometimes I get the opportunity to remake some of my favorite cakes. 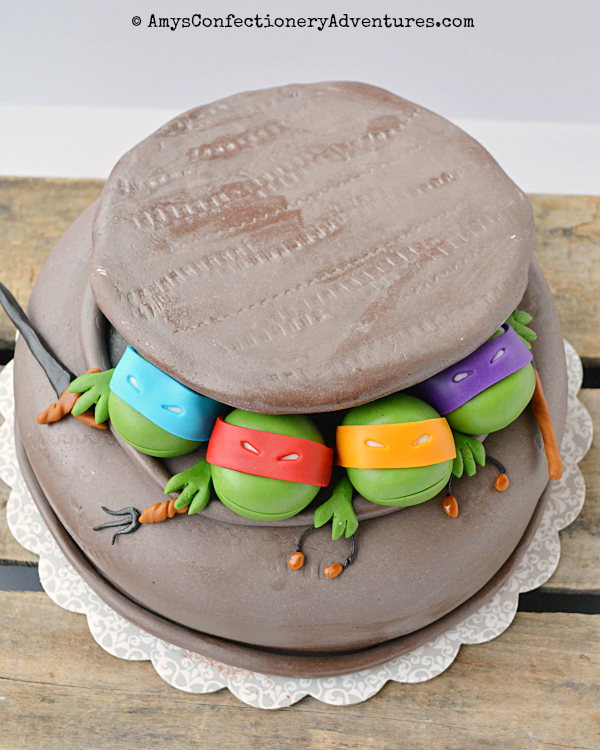 Usually it happens when a friend seeing ones of my cakes and wants one just like it! Here are a few I’ve gotten to remake recently! 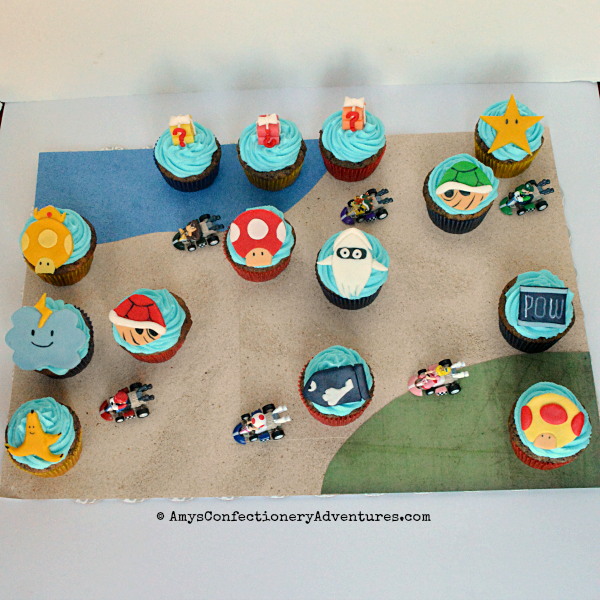 I’ve wanted to make Mario cake/cupcakes for ages. But I’ve never had a reason to. 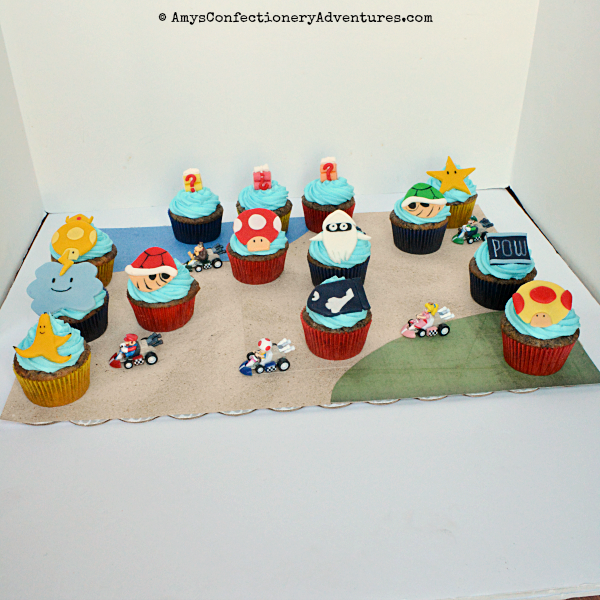 So I was super excited when I finally got an order for Mario Kart Cupcakes!! 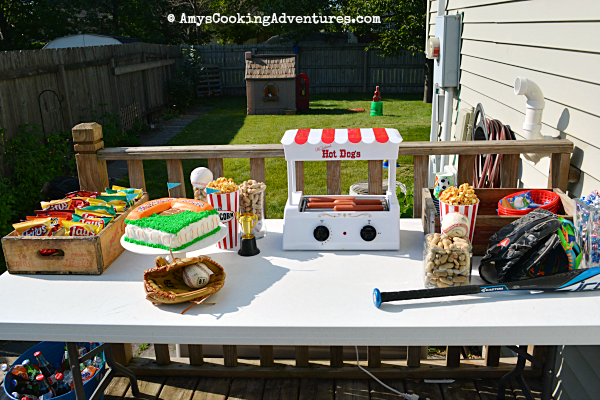 The mom of the birthday boy ordered the characters. So I made a board to look like the beach level and made all of the Mario Kart boosters out of fondant as cupcake toppers. I absolutely love them!!! Here’s the whole set! 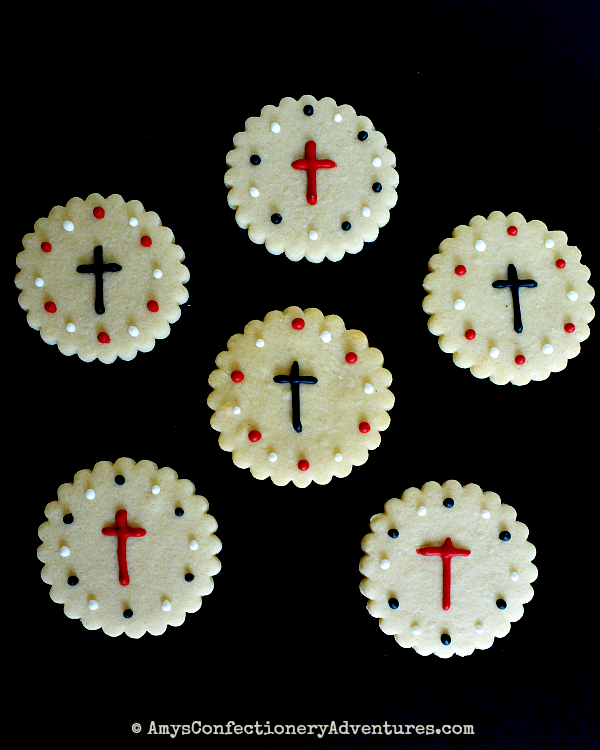 I had some extra cookies and frosting leftover after making my Simple Cross Cookies. It was also very close to my Grandma’s 89th birthday, I knew I wanted to make her something special that she could share with her friends. I was a bit limited by the colors I had available, but once I started thinking, I realized that it was the perfect time to experiment with brush embroidery with royal icing. 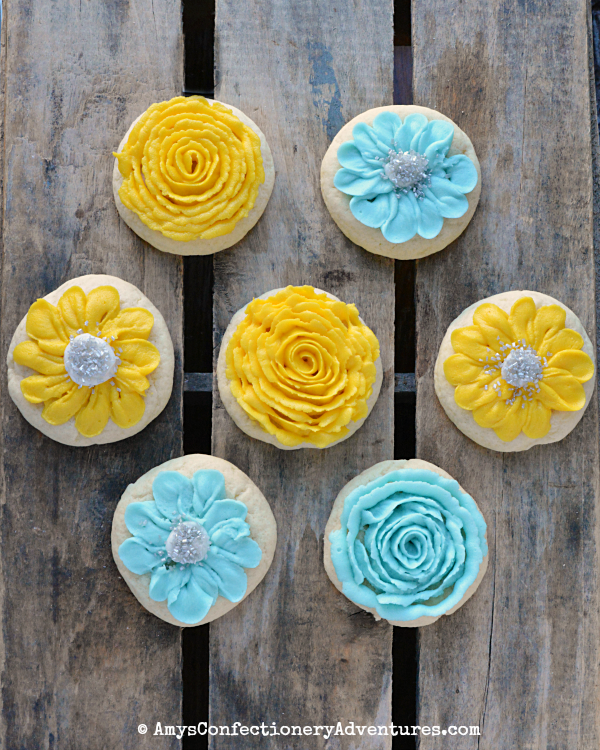 For brush embroidery, some medium thickness icing is piped onto the cookie. 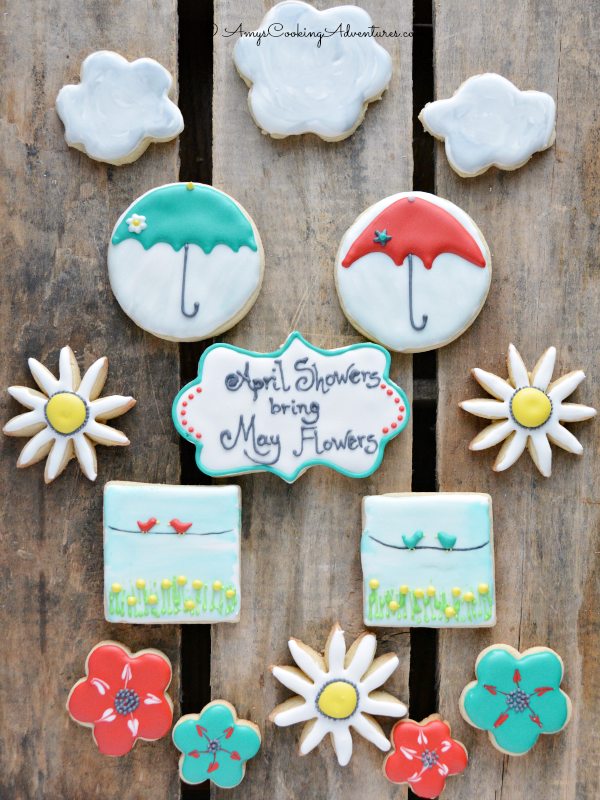 Immediately, a damp paintbrush is used to pull the icing away from the lines, leaving a delicate brushed look. 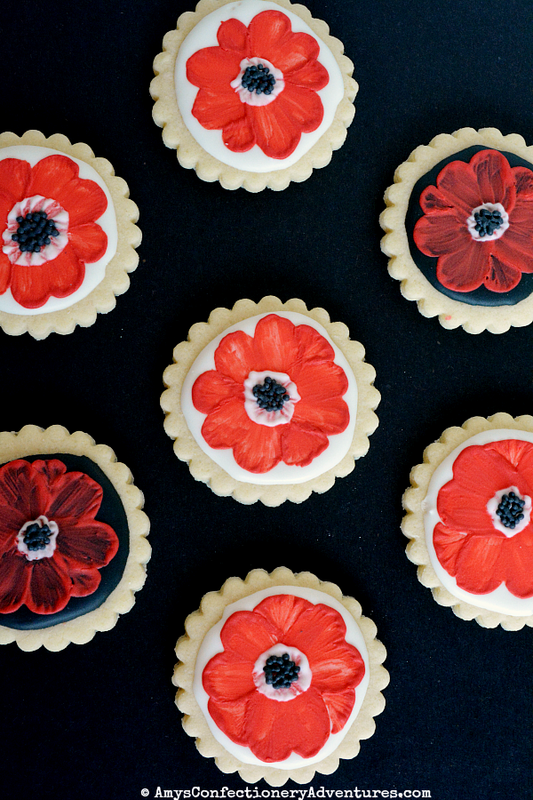 Once I started, I quickly realized that the colors lent themselves to poppies! I love the contrast of the brushed poppies on the black and white backgrounds! Oh, and Grandma loved them, so that makes me even happier! For the last day of school, I was asked to make 200 sugar cookies for the end of the year celebration/retirement party for the school’s principal! 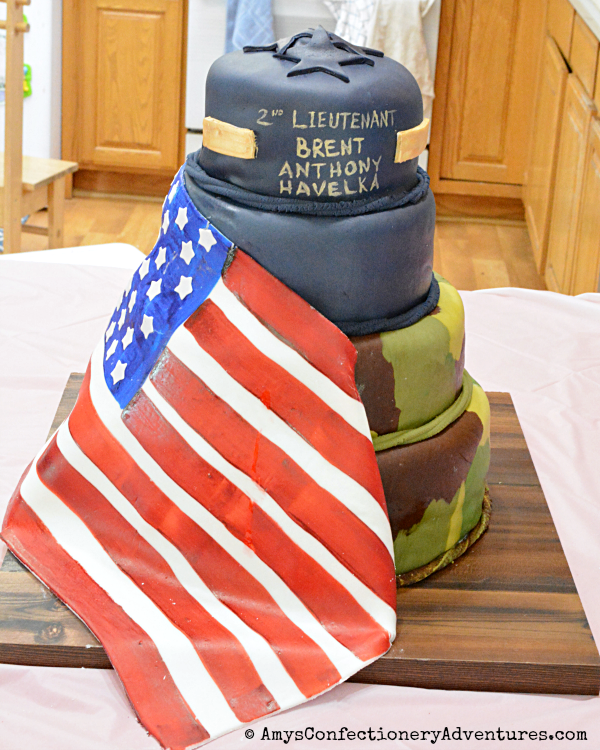 This cake was for my son’s Cub Scout Crossing Over Ceremony. That’s when, after a full year of hard work, they “cross over” to the next rank. It’s an awesome ceremony and the kids are so proud! 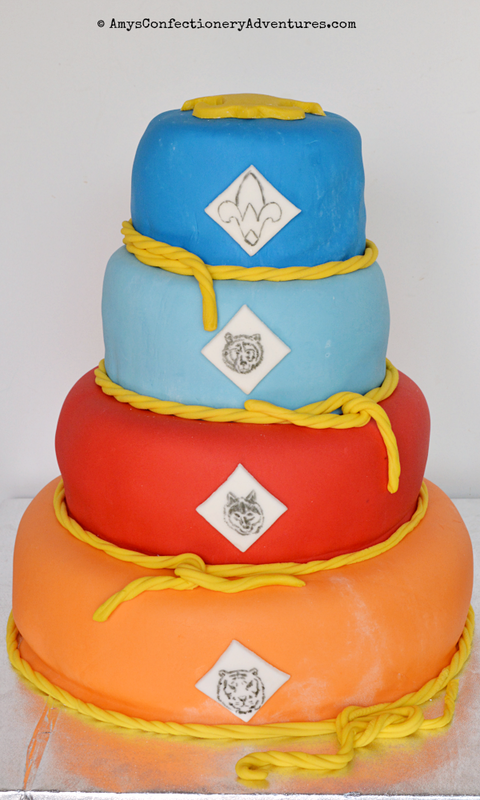 This year, I was asked to make a cake representing each of the cub scout ranks, Tiger Scout, Wolf Scout, Bear Scout, and Weebelo (Dude was crossing from Wolf to Bear). A couple weeks ago, I had the pleasure of making a beautiful wedding cake for a couple! 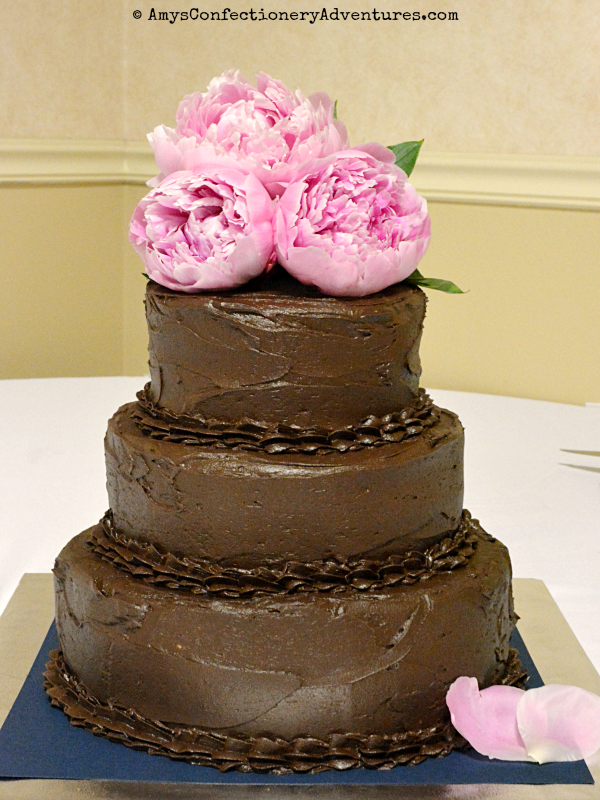 The bride asked for a chocolate cake with chocolate frosting, decorated with fresh flowers. 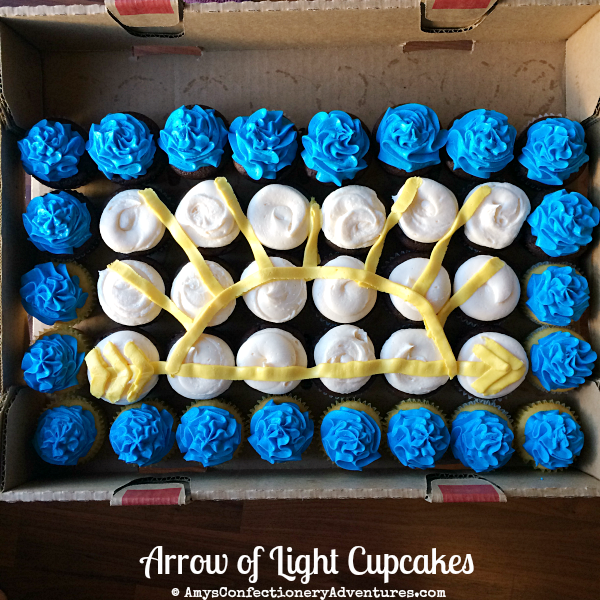 These cupcakes were for a Cub Scout’s Arrow of Light Ceremony. The Arrow of Light is one of the highest badges a scout can earn before becoming a Boy Scout. It takes a lot of hard work and dedication, so when one of the older boys in our pack achieved his Arrow of Light, the pack got together to celebrate! 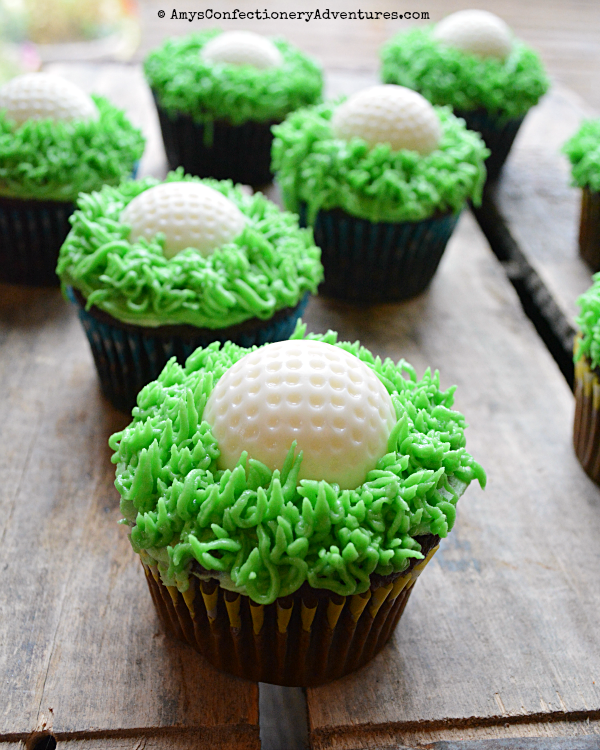 Instead of making a cake, we decided to make cupcakes (because they’re so much easier to serve to a crowd!) 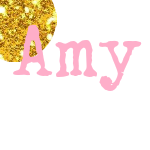 I simply frosted the cupcakes in the colors of the patch and then piped the Arrow of Light symbol over the top! 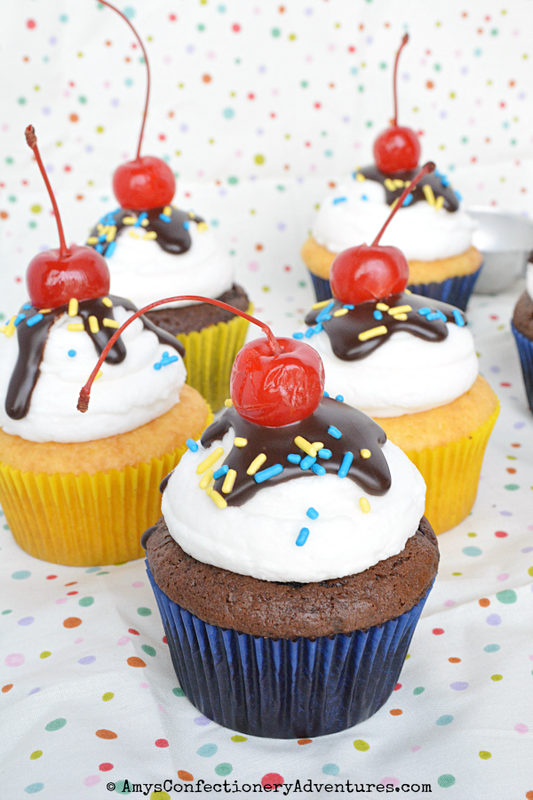 These fun Ice Cream Sundae Cupcakes were made for my son’s Cub Scout Blue & Gold Banquet this year! 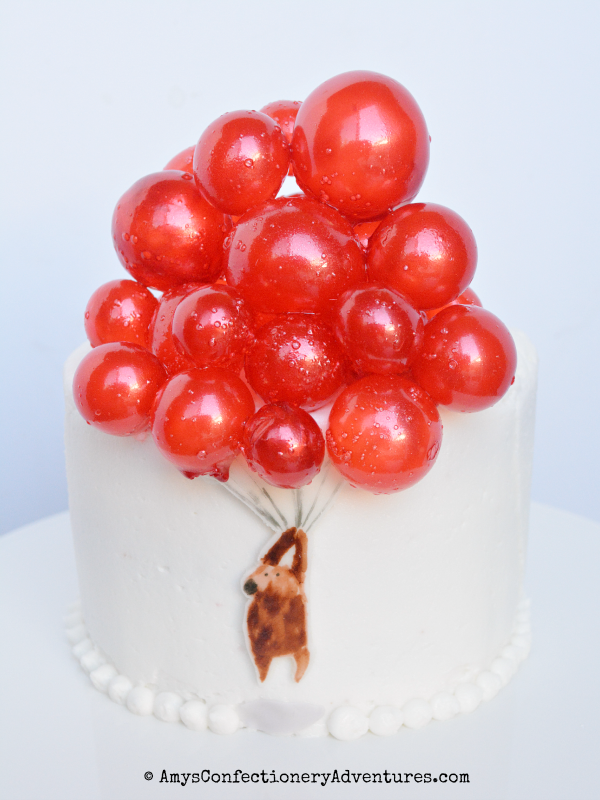 This sweet little cake was made for a Winnie the Pooh themed baby shower! 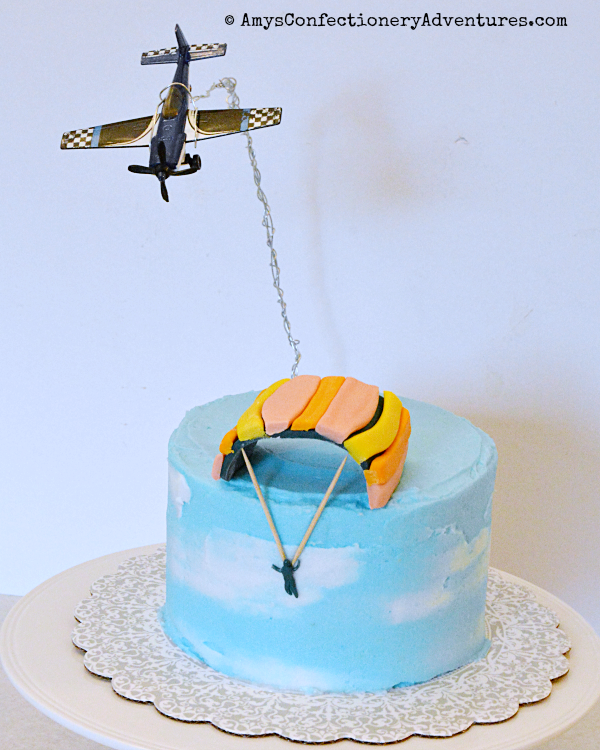 It was so fun to make this cake in incorporate all the tiny details. I checked out a copy of Winnie the Pooh from the library (though I really must get my own copy) and selected a scene from one of my favorite stories. 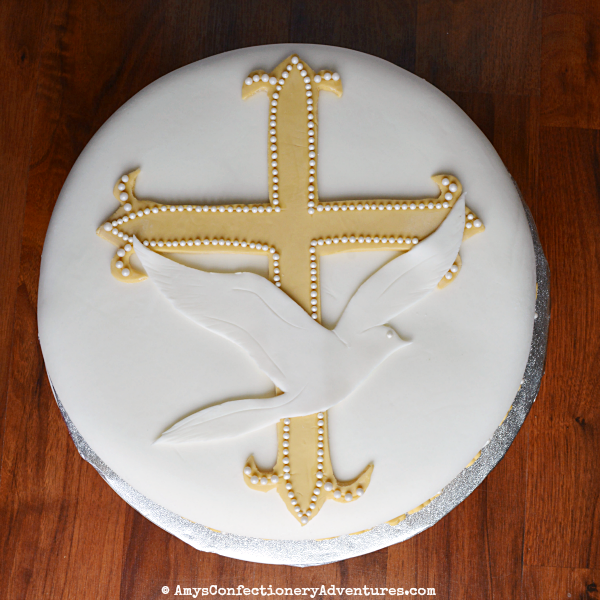 Then I painted it onto MM Fondant and let it dry. I also make some little fondant bumblebees with almond wings. 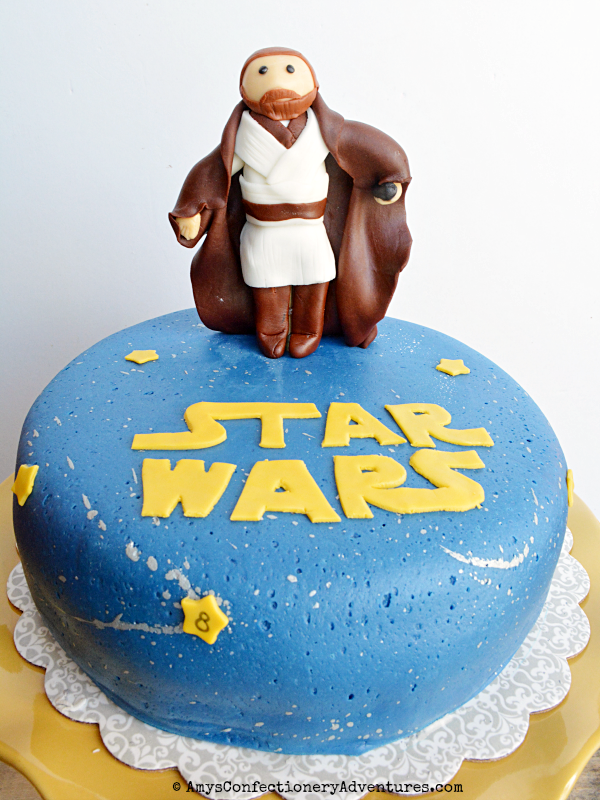 The cake was covered in buttercream and then topped with chocolate ganache. 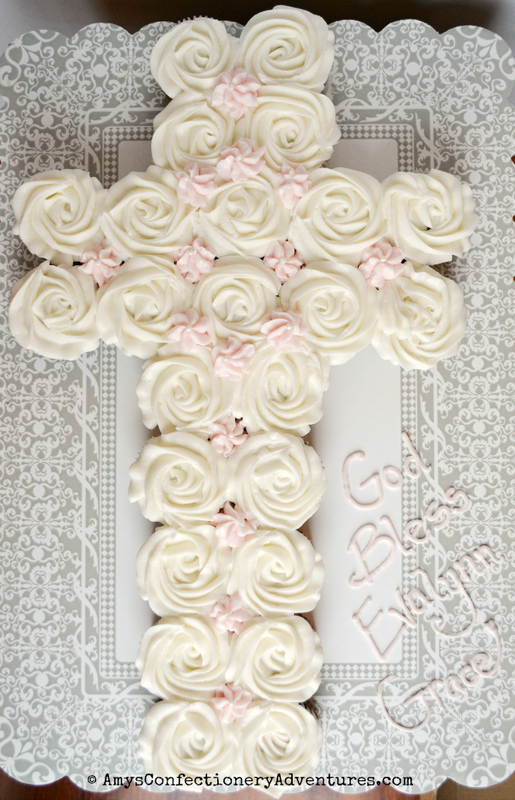 Today’s cake was for a First Communion/Confirmation. The new Star Wars movie came out on DVD last week!!! Yay!! I bought a copy, but haven’t had a chance to rewatch it (we saw the movie in theaters) because Hubs was out of town and I wanted company! 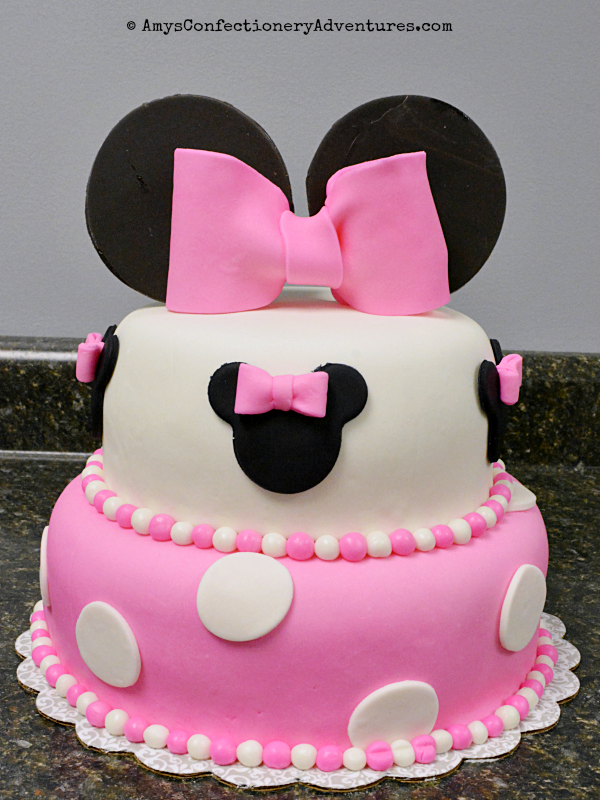 So instead, let’s celebrate with cake! 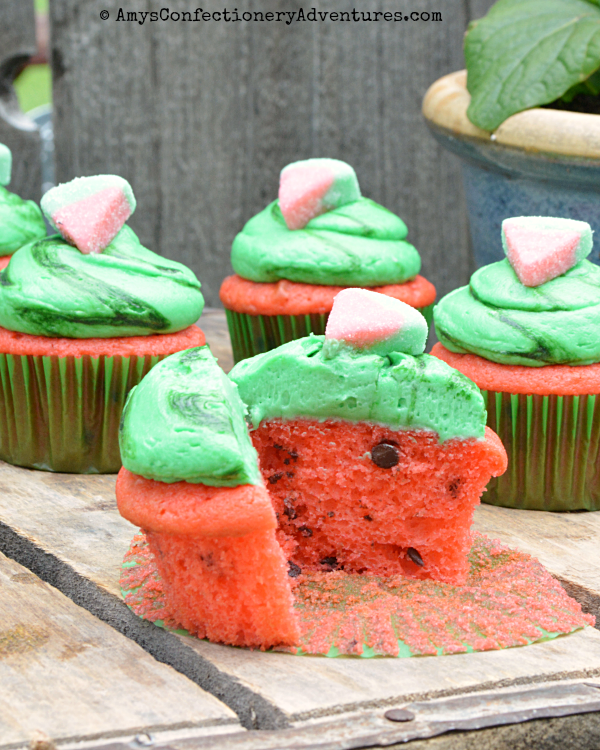 These fun little cupcakes were made for an Ice Cream Sundae party for Cub Scouts! They were so fun to make! 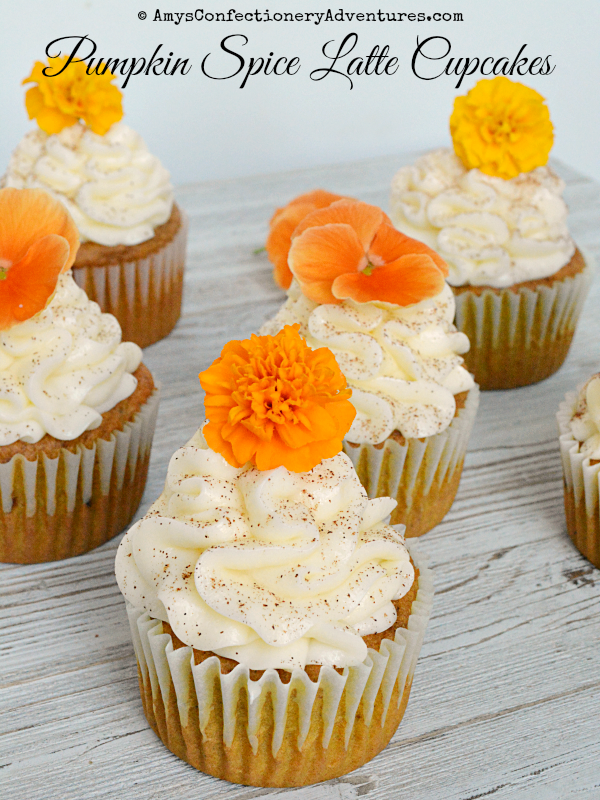 I started off with my favorite chocolate & vanilla cupcake recipes and topped them with vanilla butter cream. 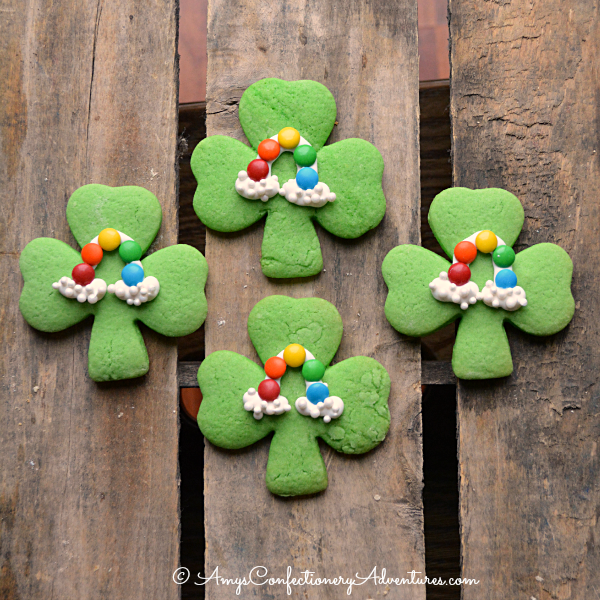 Today I’m sharing some easy peasy St. Patrick’s Day Cookies! My boys took these to school to share with their classmates and they helped make them! 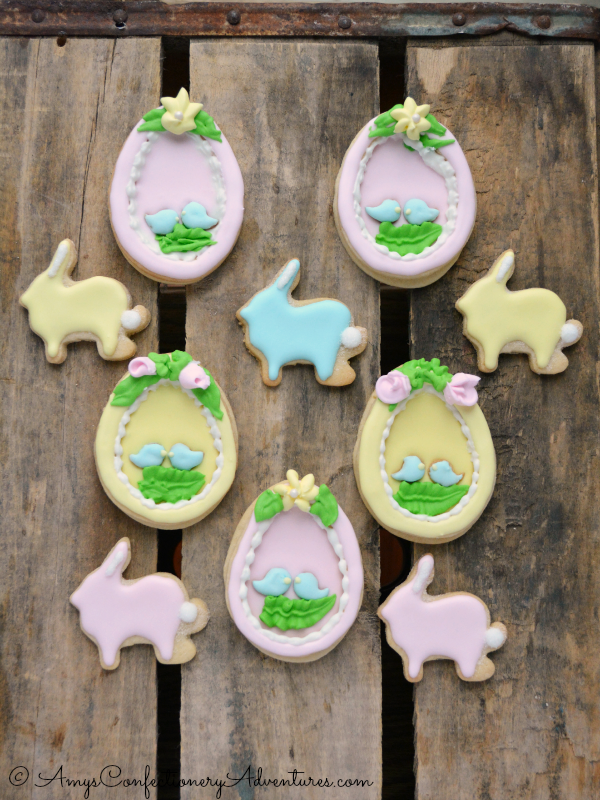 To make these, add green gel food coloring to your favorite sugar cookie recipe (here’s my go to and the eggless version). Roll, cut with a shamrock cutter, cook according to recipe instructions & cool.